For those who reside in moderate climates, residential heat pumps, which heat your home via a principle called heat transference, are the way to go to either heat or cool your home. Heat pumps are devices that transfer thermal energy from a source to a sink that is at a higher temperature than the source. It follows that heat pumps move thermal energy in the opposite direction of spontaneous heat flow by using low entropy energy. Think of a refrigerator or air conditioner; they are essentially both examples of residential heat pumps that are operating in cooling mode. In a refrigerator, for instance, the evaporator coil is located inside the freezer compartment, from where the heat is transferred to the outside where the condenser coil is located. The great feature on residential heat pumps is that the cycle is fully reversible, and this is what allows you to heat your home in the winter and cool and dehumidify it in the summer. 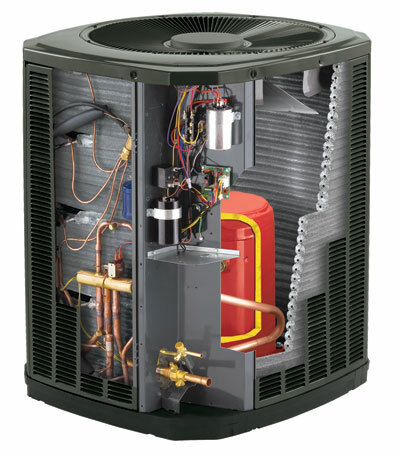 There are various types of heat pumps, and they work slightly differently. The type of heat pump that you purchase should be suited to your home, the climate where you reside and your heating and cooling needs. 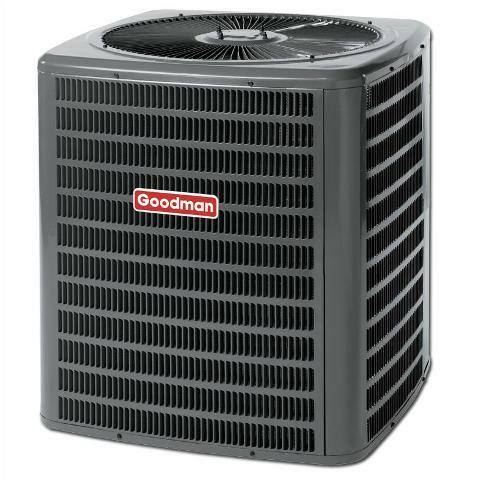 Most residential heat pumps, which are all in one units, are the standard air-source model which gathers warm air from the air surrounding the unit. Other models are the earth source or green source heat pumps, which use either ground-water or the soil as the source of the heat. When the thermostat in residential heat pumps senses that heating is required, the heating cycle is started. Air is drawn across the outdoor coils by the outside fan, which allows the refrigerant to absorb as much of the heat from the outside air as possible. The now warm refrigerant is then pumped to the indoor coil system by the condenser. An air handler then pumps the air from inside the home over the heated coils and the warm air is then pumped back throughout the home. In earth-based residential heat pumps plastic tubing is used; it is submerged either under the ground, which always contains some heat, or in the local water table. The cooling process on residential heat pumps works exactly in reverse to the heating cycle; refrigerant is pumped through the coils by the outside compressor and the outside fan blows fresh air over the coils to cool the refrigerant down. The refrigerant, which is under pressure, is then run through the tubing to the indoor evaporator coil where the refrigerator pressure is released, making the coils very cool. The air passing over these coils is cooled and excessive moisture is removed before the air handler pumps the cool air back into the home and throughout it via air ducts, cooling the home down to a comfortable temperature. Ground heat pump technology is a type of “green” heating that was first discovered by accident in the 1940s by Robert C Webber, who created the direct exchange system. The concept was first theorized by an Irish born physicist, William Thomson, 1st Baron Kelvin, in 1852. Lord Kelvin is more famous for his work in telegraphs, but was also renowned for his work in thermodynamic temperatures, and the Kelvin Temperature Scale was named in his honor. 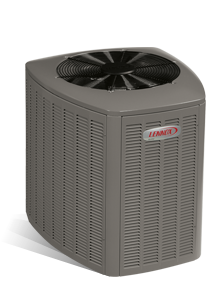 The technology has only been utilized in residential heat pumps for a relatively short while. Ground source or earth energy heat pumps are rapidly gaining in popularity due to the fact that they save on energy bills and are considered to be better for the atmosphere because they use stable underground temperatures as a source of heat, transferring the heat from earth and water sources into the homes to heat them. 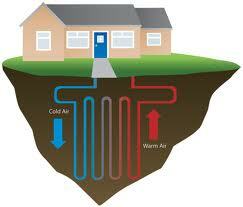 Geothermal heat pumps are powered using the principles of thermal physics and heat transference. They extract the heat found in the earth or ground water and use it to heat the home, and reverse the cycle in the hot months. Ductless residential heat pumps are perfect to heat or cool a room, small building or attic in which there is no ductwork. 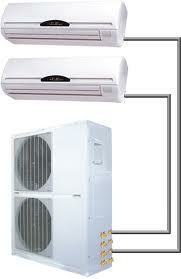 These heat pumps are also known as mini split systems and they also use heat transference. 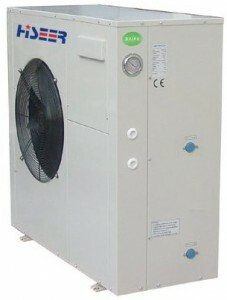 The difference between a mini split system and standard size units is that the mini split system is split into smaller units; an outdoor unit which houses the condenser compressor coils and is mounted on an exterior wall or ledge and an indoors unit which is mounted on an interior wall opposite the outside unit. All conduits and cabling is passed directly through the wall. The inside unit is for air-handling, eliminating the need for ducts, and the outside unit contains power cables, drainage tubing, the electric compressor motor and evaporator-condenser coils. These heat pumps are perfect for “zone heating” due to their small size and flexibility. They are mainly used for cooling but do also contain a heating function. Dual Fuel Heat Pumps are a recent innovation and are more often referred to as an air conditioner combined with a gas heating unit. 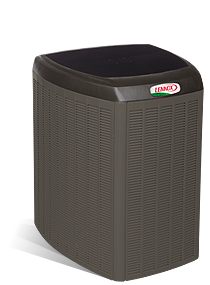 These residential heat pumps are becoming more popular in colder areas as the units automatically switch on and burn natural gas or propane to heat the home in low or freezing temperatures. The fact that they are not only reliant on electricity means that they do not contribute to the pollution caused by coal-powered electricity plants, and save you substantially on heating bills means that their popularity is increasing with the home-owner. They are very powerful and can heat areas as large as 4000 square feet, and this makes them a popular choice for green-minded builders and architects too. 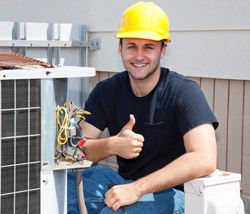 Whatever your needs, it is important that you speak to a specialist in residential heat pumps in order to ensure that you invest in the right kind and size pump so that you are not wasting your hard-earned money on a pump that is either inadequate for your needs or way too big for the small area that you need to be heated or cooled.